How to Get a Children's Book Published! --November 1988--I proposed a nonfiction picture book about dragons to an editor at Harper & Row. --January 1989--received contract, and half of the advance on signing the contract. --February 1990--my manuscript was accepted. Editor found it "delightful." Received balance of advance.Total: $6,000. 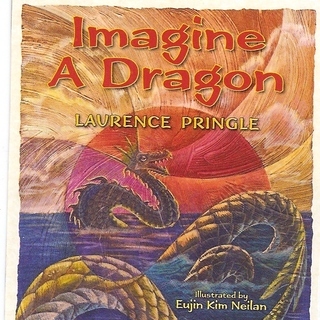 --March 1991--in 1990, I worked with editor, improving the manuscript, which I titled Imagine a Dragon.Told that illustrator, "perfect for the job," had been picked. --September 1992--publisher, now HarperCollins, replaced most of staff, and new editors decided to not publish my book. DISASTER! Well, maybe not. I kept the spent-long-ago advance money, and had the rights to the ms.
--September 1993--shortly after its 8th rejection I sent the ms. to Scribner's. --November 1993--accepted by Scribner's. Received contract and advance ($7,000). --April 1994--Scribner's sold to Atheneum, where they already had another dragon book in the works. They won't publish mine. WOE IS ME! Well, maybe not. --February 1995--I was allowed to keep the spent-long-ago advance, and to sell the ms. elsewhere (achieved at Atheneum with a nudge from the legal staff of the Authors Guild). --October 1995--another rejection. Totals so far: 9 rejections, 2 acceptances. --August 1996--sent Imagine a Dragon to Boyds Mills Press (BMP). Later in the fall the ms. was accepted. Advance received: $6,000. Total advances from the same manuscript being accepted three times: $19,000. --November 2002--No progress at BMP, and I, too, had been busy with other projects. Ms. finally assigned to freelance editor Andrea Curley (we worked well together when she was at Wm. Morrow). New title suggested: Dragons East, Dragons West. --September 2003--final editing completed. Another title possibility: Dragons: Wicked and Wonderful. --February 2005--BMP reports that Korean artist Eujin Kim Neilan will be shown ms., in hope she will illustrate the book. She likes it, and is signed up! --February 2006--shown preliminary drawings and design of art. I write that "color version will be spectacular." --March 2006--editors don't like title. They ask "can we go back to Imagine a Dragon? Yes! Always my favorite. --February 2007--sent in book's dedication: "To my sisters, Marleah and Linda--strong, smart women who have slain more than a few dragons in their lives." MORAL: If a piece of writing is good enough to be accepted once, but is not published, there's a chance it will be accepted again and published--eventually.